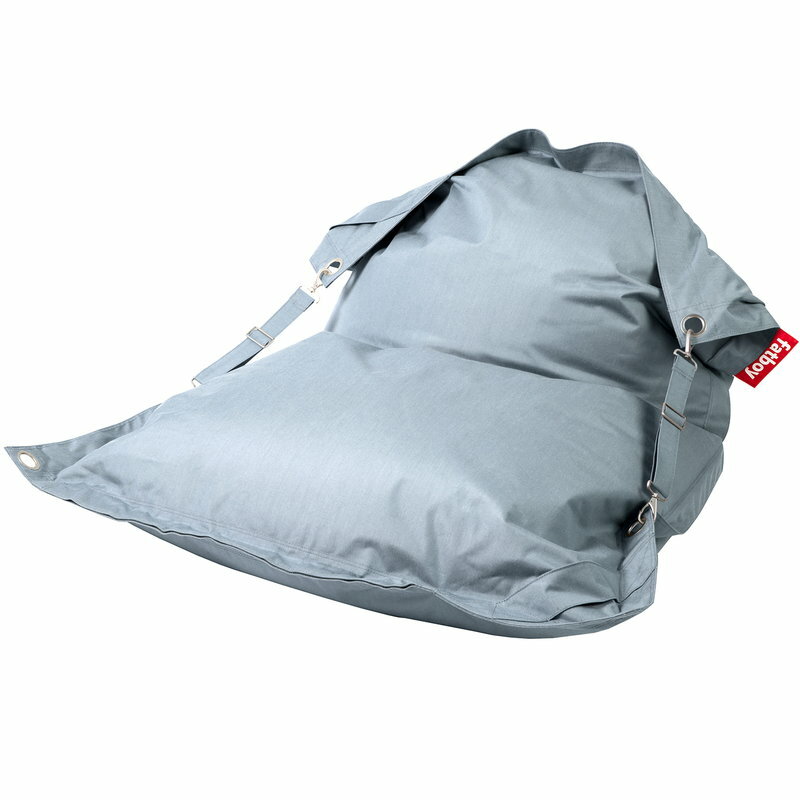 Fatboy Buggle Up Outdoor bean bag was created especially for lounging outdoors in the garden, at the beach and camping sites. The large and comfy Buggle Up Outdoor features an extra strong, durable Sunbrella coating that is resistant to rain, stains and UV light. For maximum comfort, Fatboy Buggle Up is outfitted with a special strap and sail ring that allow for lounging up to a 60 degrees sitting position. Enjoy life, sunshine and well-made design with the Fatboy Buggle Up bean bag!